After weeks stuck in a range, Bitcoin (BTC) saw a semblance of a breakout on Tuesday, as the prominent crypto asset broke convincingly over $6,500 in a move backed by hefty levels of volume — a seldom seen sight in 2018’s bear market — and positive investor sentiment. However, per Kevin Davitt, a senior instructor for The Options Institute at Cboe Global Markets, Bitcoin (XBT) futures, continue to trade a low volatility, especially in comparison to legacy capital markets, which continue to bounce up-and-down on the day-to-day. As it turns out, [bitcoin] XBT futures and cryptos in general are moving with very little speed. The week ending Oct. 26th was the least volatile since futures were introduced nearly a year ago. Not only has Bitcoin ousted a majority of America’ stocks as a stable asset, but the cryptocurrency has also begun to diverge from IShares MSCI Emerging Index Fund, which it had tracked to a “T” for nearly six months now. This statement comes just a week or two after Ethereum World News reported that BTC’s lack of volatility could be indicating that speculative investors have fled this market, allowing the nascent crypto industry to undergo its long-awaited bottoming process. Pundits echoed this sentiment, with Charlie Morris of Atlantic House Fund Management claiming that the crypto market “is calm and in balance.” Morris added that speculative interest in digital assets is reaching new year-to-date lows, even if positive industry developments, such as the establishment of Fidelity Digital Asset Services, are only ramping up. In spite of Bitcoin’s stagnation, altcoins have begun to see a resurgence in buying pressure and, interestingly enough, market dominance. As of the time of writing, save for Ripple’s XRP, Monero (XMR), and Tether, all crypto assets in the top 10 are up substantially. Bitcoin Cash (BCH) is leading the charge, posting a 12.5% gain in preparation for November 15th’s looming hardfork, while Ether (ETH) has also seen a strong move upwards, seeing a 4.5% gain to move over the $220 line of resistance. As always, a majority of altcoins followed its higher-ups, leading Bitcoin market dominance to fall from 52.86% to 51.5% in a matter of 24 hours. At the time of press, the aggregate value of all crypto assets has moved above $220 billion for the first time since early-October, indicating that this market could finally be undergoing a reversal/breakout process. 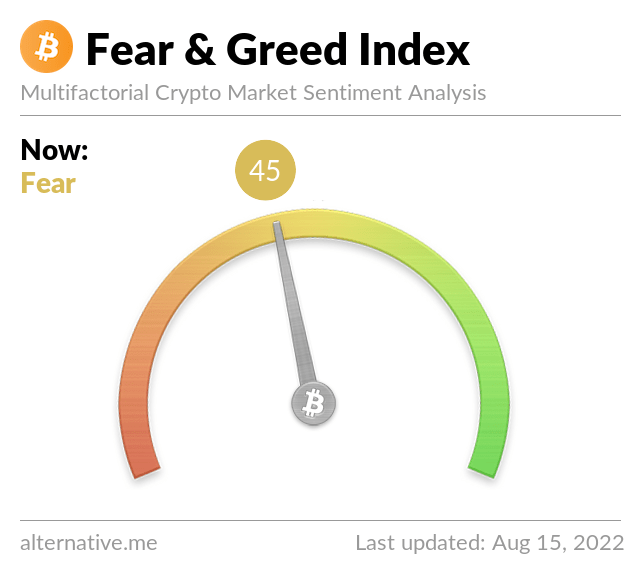 The post Bitcoin (BTC) Futures Volatility Hits All-Time Low, Yet Crypto Moves Higher appeared first on Ethereum World News.